Gears of War 3 Preview Details | GameXcess.net - Gaming News, Videos and Editorials! Posted by Maniac in Previews. Here’s an update from E3 which I made sure to post up while I could. 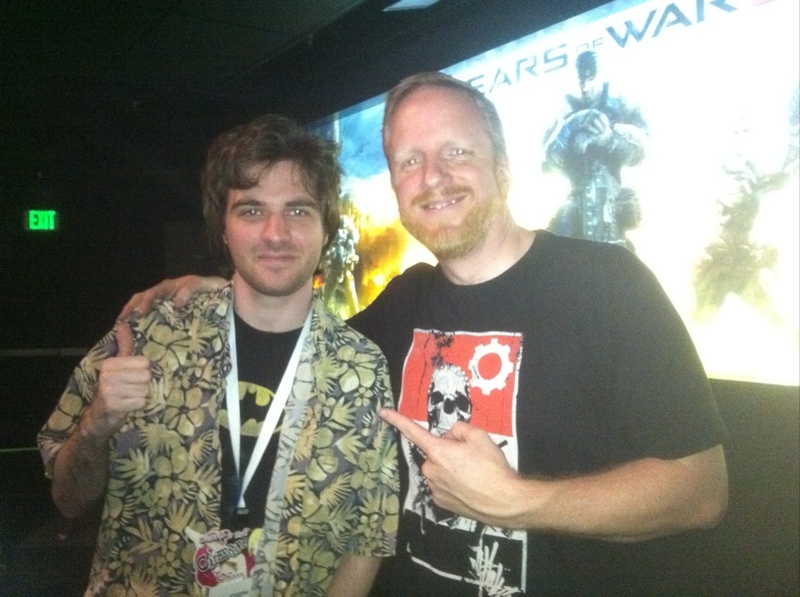 I just previewed the single player and multiplayer component of Gears of War 3 with Epic developer, Rod Ferguson! The single player gameplay that previewed at the Xbox Press Conference was just the tip of the iceberg. After the events of Gears 2 the whole planet has started to die on a massive scale. The Collation of Ordered Governments has been disbanded (and the guy in charge of it has gone missing) and the infection caused by the planet’s resource has been spreading through the planet, polluting oceans. Delta team has simply become Marcus and his friends, living their days out on a converted aircraft carrier until they all die. The locust are in just as bad a shape. The Queen is dead (apparently) and without her they have no central leader. They have become a motley crew of players causing havoc on the human survivors. In this game you’ll be able to play from multiple perspectives, and in this version I clearly saw two different teams of four. On one side I saw the side in the press demonstration, Marcus, Dom, Anya were there. On the other side was lead by Cole, with Baird, what looked like a Carmine, and a raven haired woman who Baird was um, quite charming to (insert sarcasm here, he actually hates her). So with this you’ll be able to flash back and forth among the two squads depending on the story’s progression. Both teams were of four so you’ll still be able to phase in and out cooperatively between the two teams, giving you the story from more perspectives. Also, Horde 2.0 was demoed today, and while it features all the fun of the original, it has been greatly expanded including the opportunity to change hosts on the fly and replace players during a match. On a gameplay side, you’ll be able to set up fortifications in the map with money, which will buy you things like turrets, mechs, decoys, barriers, and sentries! Building or repairing these will rank the player up, and rank up their skill, expanding what they can deploy. Oh and did I mention there’s a random boss spawn every 10 levels and some bonus objectives and levels as well? Gears of War 3 is coming September 20th, exclusive to the Xbox 360. Now enjoy this picture of me and Rod.